As soon as you start talking to the midwestern gentlemen from Greenwich Vintage, you know they’re in this for the right reasons. It’s not a trend or fashion for them, it’s a fundamental belief in doing things the right way. On April 28, Greenwich Vintage will bring their fine vintage goods and amazing shoes to Baltimore. Read on for a more formal introduction. Why did you start Greenwich Vintage? 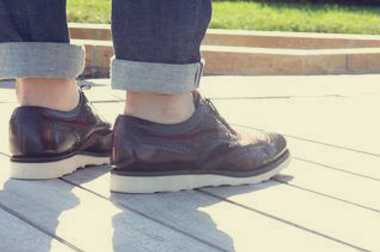 We at Greenwich Vintage wanted to restore the true style of the American male, which recently has been lost. People forget that for years the look and attitude of the American male was the envy of consumers both in the US, as well as around the world. James Dean, Carey Grant, Marlon Brando, Humphrey Bogart, Steve McQueen, these were American gentlemen that acted with class and dressed with courage. Simply put, Greenwich Vintage is focused on purveying clothing and offering guidance, which unearths these qualities within today’s American man. For Zen: When we style a customer and literally change his life. For Mike: The hunt for and discovery of hard-to-find items. I eat, sleep and live for vintage goods. However, these pieces are becoming even more rare than ever before so preserving these goods and purveying them properly allows others to enjoy them as the original owner once did. For Max: Building a business that our customers appreciation and enjoy, as well as one that is sustainable for the long-term. How did you get into cobbling and master that art? In the 2003 to 2004 timeframe, I was focused on customizing sneakers. During that period I really started getting into the deconstruction and reconstruction of sneakers and shoes, simply the art of cobbling. From there, it was a natural progression for me to move in into “Grown Man” shoes as represented by our unbelievable inventory of vintage wingtips and colored soles. Curating and purveying the clothes of your father and grandfather and restoring them for current and future generations. Greenwich Vintage prides itself on innovation and exceeding expectations. We are the first to manufacture US-made colored soles and one of the few companies offering deadstock vintage. Where do you see Greenwich Vintage going in the next year? The next 5 years? Greenwich Vintage is focused on its mission to restore the style of the American male and continuing its current growth through hard work and innovation. 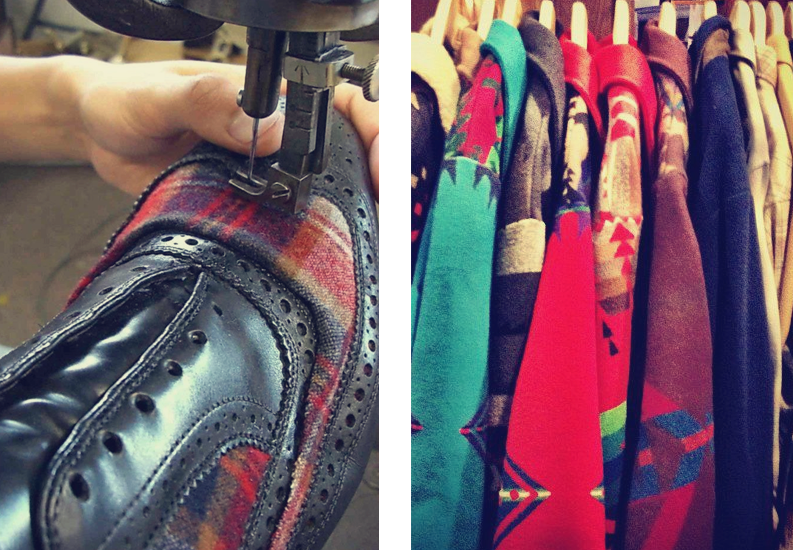 Over the next five years Greenwich Vintage’s goal includes being the premier provider of US-made vintage menswear, as well as US-made colored soles. In addition, the Company is focused on establishing an old time barbershop in the Twin Cities under the stewardship of our own master barber Mustache Mike. Pendelton, Woolrich, Filson, Red Wing, Gokey. 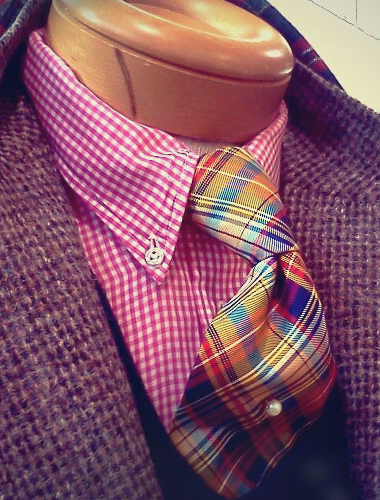 Our showroom at Confirmed Stock is focused on creating an environment where a man can be a man, a chap can be a chap. With that being said customers will get to peruse vintage items that their father or grandfather may have worn in their day. What’s one thing people should know about Greenwich Vintage? We are hard working midwest gentlemen that want to provide our clients with a great product and a quality experience. If you’re not already, we recommend following these guys on Instagram where you’ll get a preview of all the amazing work they’re doing. Check out greenwichvintage.us for even more. Photos Courtesy of Greenwich Vintage Co.